Friday, January 13th was the sixth annual Academic Technology Expo (ATE) at the University of Oklahoma. ATE is one of my favorite local conferences because there’s an emphasis on instructors presenting the tools they are using in their classrooms. This helps me gage and pursue various technologies and use cases that interest faculty. Not to mention, ATE keeps me informed about many of the technology initiatives throughout OU classrooms. This year’s ATE was especially notable between a day (Jan 12th) focused on OU’s new Innovation HUB followed by a day (Jan 13th) filled with phenomenal presentations and the wonderful Keynote speaker, Gardner Campbell! This session was presented by Kathleen Crowther. Going to be an awesome day when it starts with learning about @drupal as a collaborative classroom tool from @Sacrobosco2013 at #OuTechExpo!
. @Sacrobosco2013 Literally thousands of recipe books are held by @WellcomeLibrary and her students are first to study many of them.
.@Sacrobosco2013 Paleography as #activelearning. Students doing history rather. ALC classroom tech for 17thC studies. This session was presented by Jeremy Dean, Jennifer Shaiman, and Nick LoLordo. This session was presented by John Stewart, Thomas Woodfin, and Peter Barker. So many phenomenal presentations in succession at #OUTechExpo! Now hearing about @Wikipedia articles as course assignments! Only 2-minutes in, and @GardnerCampbell is already moving and inspiring. #OUTechExpo I loved his description of a library. This session was presented by Eric Abraham, John Stewart, and Christina Bourne. This session was presented by Lauren Horn Griffin, Julie Ward, and Keegan Long-Wheeler. My favorite part of ATE was presenting alongside Lauren and Julie on some of the curriculum they’ve implemented/are developing for their courses. Lauren built a text-based game with her students around the choices immigrants and asylum seekers face. This activity intended to engage Lauren’s students in both research and creative writing that could be showcased outside of the classroom. 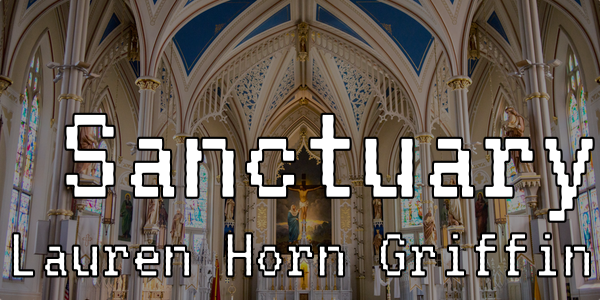 I love this project because Lauren had her students reflect on every choice they made while developing the game, Sanctuary. What an opportunity for her students to see the world through another individuals point of view and empathize with people immigrating to the United States. Julie also has a terrific choose-your-own adventure game development activity she intends to implement in her Fall 2017 course around Spanish literature. For Julie’s students, they will practice their language skills while writing plausible, alternative ending to pieces of literature. 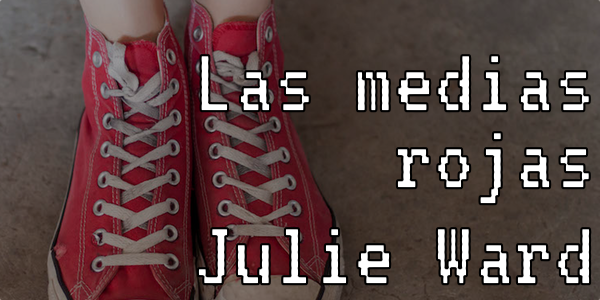 Checkout the example Julie developed for her students, Las medias rojas, during her participation in eXperience Play. My favorite quote Julie said about why she’s pursuing this activity is that she had “fun” developing her own text-based game and wants her students to have a similar experience in her class. I felt spoiled at ATE since it was my second time to hear Gardner Campbell speak in the last three months (shoutout to #OpenEd16!) He was phenomenal. What resonated with me from his talk is his portrayal of the internet as a network where everyone is connected, but no one entity is in control, as well as his call to action that we should always be intentional when implementing technologies into the classroom. To me, these are two ideas that drive some of the curriculum and professional development I design. Honestly, it’s hard to put into words much of the inspiration Gardner propagates, so I will differ to the soon-to-be-released video of his talk. I highly encourage you to listen to his encouragement (when it’s posted). Thank you Gardner Campbell! Finally, due to the threat of inclement weather, ATE possessed a high concentration of passionate educators willing to brave the potential of freezing rain. Thus, from learning about Drupal to facilitate collaborate research in the classroom, to engaging students in discussion using group annotations with Hypothes.is, and scaffolding the writing of academic papers with Wikipedia articles, ATE was comprised of some fantastic sessions. I love seeing the results of passionate instructors and the technologies they utilize. Here’s to another great year of learning alongside them. The featured image is provided CC0 by Riley McCullough via Unsplash. Thanks very much for this kind words, Keegan. It was a great pleasure to meet you and spend some time with all the good folks at OU. I’m also grateful y’all kept the snow at bay for my visit–good work there! 🙂 I hope our paths will cross again, soon. Keep up the great work.